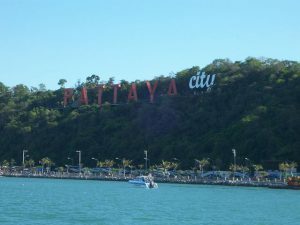 Pattaya is a popular vacation destination for international travelers, offering beautiful beaches, endless activities and festivals, and an exciting nightlife. The Thailand city caters to visitors of all ages and nationalities, truly providing something for everyone. Despite the modernization and transformation into a premier tourist destination, Pattaya has managed to retain parts of its rich and vibrant history and culture. 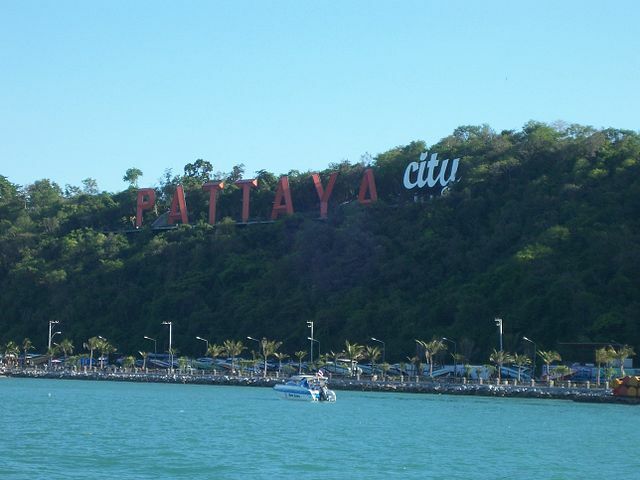 Pattaya originated as a small fishing village in Thailand and remained so until the mid to late 1900s. In the 1960s, American service members discovered Pattaya while looking for a place to relax during the Vietnam War. Soon after, the quiet coastal town started attracting visitors in astounding quantities, resulting in the fast and plentiful addition of guest accommodations and means of tourist transportation. Despite the rapid growth and increased tourist interest, there are still aspects of historic Pattaya and Thai traditions that are intact and give a peak into the culture of Pattaya and its people. Many local homes in Pattaya still observe the Thai tradition of erecting a spirit house, a small shrine to give shelter to spirits. They are made in the image of Thai temples, only smaller. It is part of Thai culture to leave daily offerings in the ornate spirit houses consisting of food, drink, flowers, and incense. Thai spirit houses are probably the most visible insight into Thai culture for tourists, located throughout various areas of Pattaya and even along the roadsides. Pattaya features several temples and shrines that are popular stops for visitors. Perhaps the most well-known is located on Phra Tamnak Hill where visitors can view the giant golden Buddha statue of Wat Phra Yai. Tourists can also visit the temple of Wat Yansangwararam. This is one of the most significant temples in the general Pattaya area and includes many historic Buddhist relics. Built in 1976, visitors can enter the temple at no cost, one of the few free tourist attractions in the area. 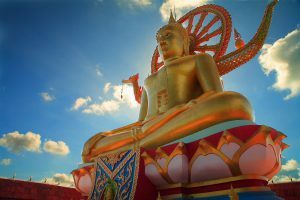 One of the most spectacular monuments and attractions in Pattaya is the Sanctuary of Truth. The amazingly large wooden building began construction in 1981. Rich in Thai tradition and culture, the sanctuary stands about 105 meters tall and is covered in wooden sculptures to reflect ancient Thai history and culture. A popular location for tourists, the site of the sanctuary also offers daytime activities such as their popular dolphin shows. Perhaps one of the best ways to experience local Thai culture in Pattaya is visiting the Floating Market. This is the only one of its kind in Pattaya and provides a unique shopping experience for all. From artisan demonstrations to traditional Thai food, a trip to the Pattaya Floating Market is guaranteed to be a worthwhile stop during your visit. When you are planning your trip to all of the amazing sites, make sure you choose a Pattaya hotel that meets all of your lodging needs. 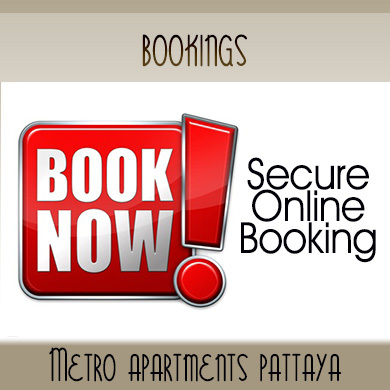 Metro Apartments offers everything you need for a comfortable stay and is centrally located for convenient travel to all of Pattaya’s must-see attractions. 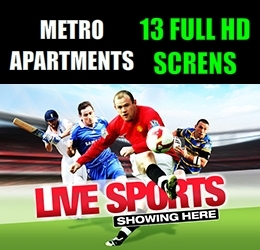 please browse our website at https://www.metro-apartments-pattaya.com/ to learn more and make your reservation today!